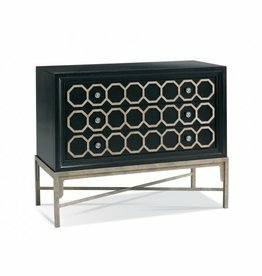 Mink finish with stone-colored honeycomb design overlay on the drawer faces with nickel pulls. Antique gold finish on the forged x-stretcher base. Custom finishes available. Made in the USA.